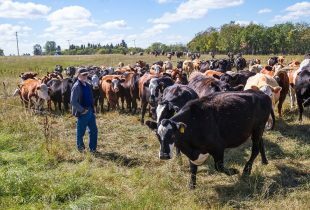 When cattle ranchers Bob and Judy McKnight bought their land near Duchess, Alta., in 1981, it came as no surprise that the natural wetland had been drained. In earlier days, wetland drainage was considered a desirable practice—even supported by governments as a means to increase crop production. 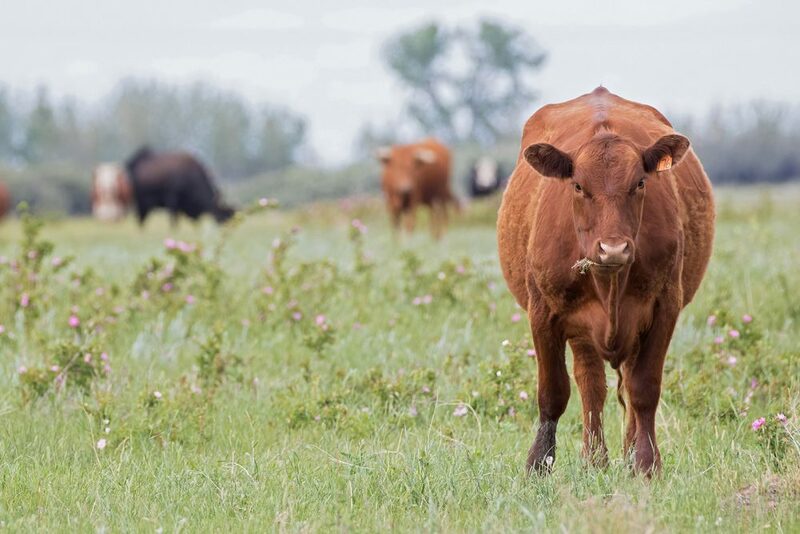 The cattle farmers found that an irrigation drainage system had been used to consolidate and move spill water across the landscape, into the drained wetland area. From there, the accumulated water flowed into the Red Deer River. 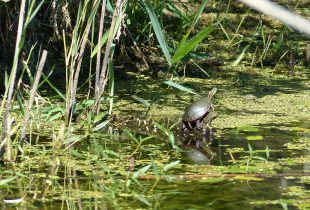 Draining wetlands has a damaging effect on the environment. The McKnights say it also detracted from the grazing land around the wetland. Without consistent water, their uplands became unproductive. Native grasses were being replaced with foxtail barley, an undesirable species with limited forage value. The grazing land around the drained wetland remained in this state for some 37 years. It provided little value to Bob and Judy. That changed, when DUC conservation program specialist Jonathan Pool came to their farm gate. Using historical photos, DUC staff determined the layout of the wetland in its natural state and designed an earthen structure with rock spillways to restore the wetland to its natural water level. The upland area surrounding the wetland was reseeded using a tame forage mix that the cattle could graze on. And it’s a message that’s gaining ground. 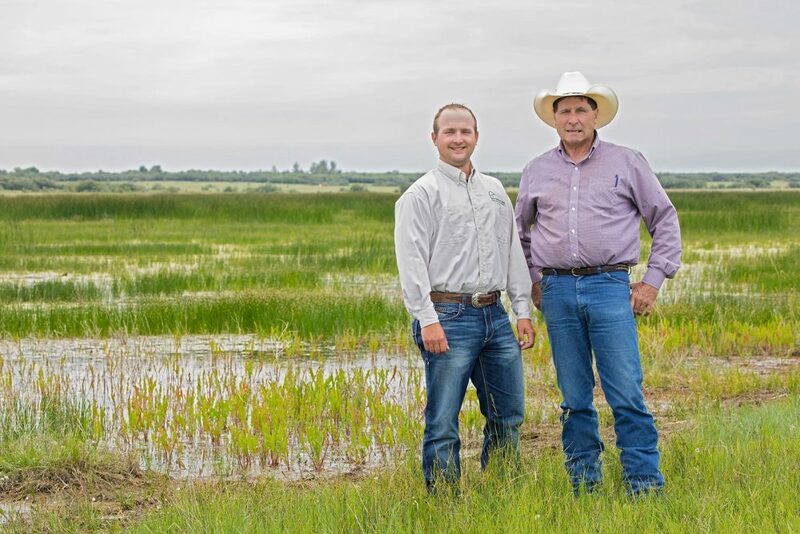 The McKnights chose to participate in DUC’s Wetland Lease Restoration program—a program that aligns well with Government of Alberta’s wetland policy—and works to conserve wetlands in the province. 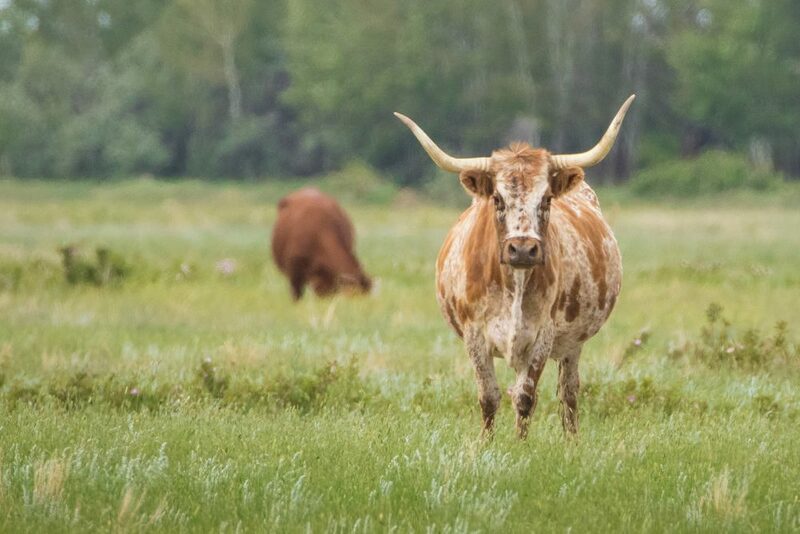 DUC restored their 258-acre (104-hectare) drained wetland and 1,436 acres (581 hectares) of surrounding nesting habitat for waterfowl and cattle grazing. Bob and Judy retain ownership and management of their land. Their only restriction is that they cannot drain the wetland or cultivate restored uplands. 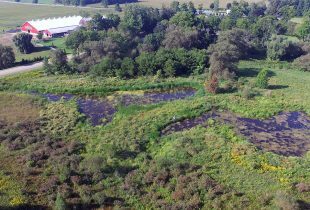 Within a month of being restored, the wetland on McKnights’ property—referred to by DUC as the Fork Horn project—was ready for waterfowl to use during spring migration. Learn how DUC's landowner programs can provide benefits to both your business and the environment.